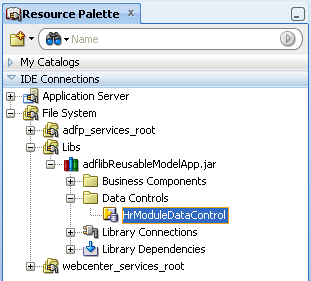 I received a question from blog reader to check if ADF Task Flow transaction management still works when different Application Modules are coming from ADF libraries. Blog reader had a doubt it will not work. 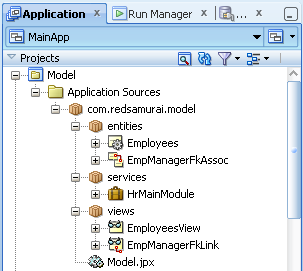 I did a test - it works well, so I would like to share this sample application with you as well. 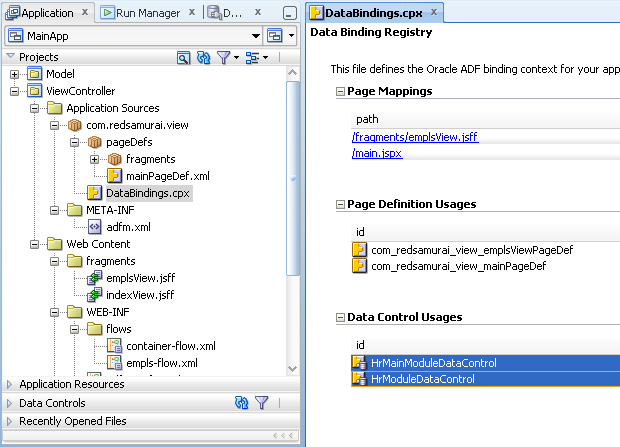 Both changes will be saved automatically with single Save button click with ADF Task Flow transaction management. No matter if Data Controls are based on Application Modules from the same application or ADF libraries. 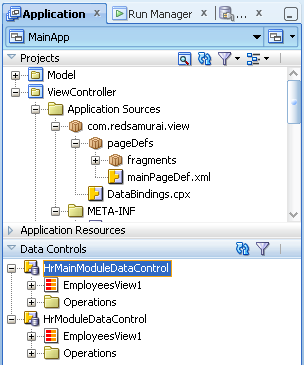 Also if the commit fails for any of the data control (local or ADF Lib) there will be no change in either of the DC. Both will be rolled back. 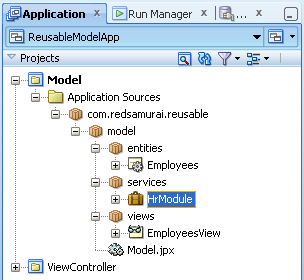 In my project, the system will call a backing bean to do the followings when user clicks Save button. 2. Insert a record to view object VO1 programmatically. If exception thrown when save, the requirement is to prompt an meaningful error message and allow user to proceed and save again. If error occur in step 3 or 4 in the Save process, the variables in backing bean are updated and the new record of VO1 is inserted. If user modifies data and clicks Save AGAIN, step 1 and 2 will be executed again !!! The result is not correct. I cannot rollback the transaction, otherwise user will lose the input data. You should implement some flag and check if 1 and 2 should be executed again based on previous operation completion. 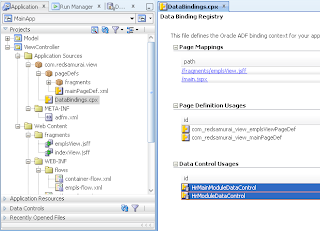 Or try to use ADF Savepoint feature available in ADF Task Flow. Exception thrown in step 3 is just an example. Exception can be occurred in any step. It seems that my problem is not a rare case. The operation may consist of many steps and each step can throw exception for some reasons. Does SavePoint uses many resources? or affect the performance? Should we create SavePoint for every operations? because every operations can throw exception.